Who will be joining the team in Albir Spain 2020? Will it be you ? Prize: 7 Night All Expenses paid trip to Albir Spain at the Albir Gardens Water park Resort. Opening round …… Our opening round will not be judged, this is your first time to go on stage to be introduced to the audience and show your presence. Please be aware that as this will be the first time the audience and judges have seen you on stage they will be watching and looking for certain things from you , so please even though it’s not judged , professionalism is a must for yourselves. The dress code for the opening Round will be the charity t- shirt from your chosen charity house or Your official Belle T shirt with jeans or leggings ( Pref Black ). PLEASE REMEMBER ALL HEATS WILL BE RONALD McDONALD HOUSE ALDER HEY. Fashion round…… This will be your first judged round in front of the audience, and where the judges start to score your stage presence. The dress code for the fashion round will be of your own choice as long as it is in any colour of your choice . This may be party wear, high street wear, 2 piece, and high-low, whatever you feel comfortable in. Remember this is NOT High street Fashion or Casual. Evening round… This is the final round you will be onstage to show your presence. Full length dresses are required for this round in any colour you may wish. Please remember Age appropriate dressed for your age group. Interview ..... This will be the first time you will meet the judges and will only be for Pre teen categories upwards, think Formal and come prepared as this will be judges along with your onstage scores. As a Natural Pageant System , No makeup , false hair , tan or lashes for under 13s, if is highly recommended as our judges will be scoring age appropriately for each category. Appearances and Fundraising ... This is a very Important Part of your Journey with Belle . Please make sure you read it all very carefully and it will be here for you all to refer back to at any point . 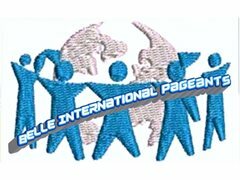 This is Not optional in Belle Pageants, you will be awarded your scores not just onstage but on the effort put into the whole journey process. You get what you put in. The Miss Charity award will be awarded to the contestant that raised the most amount for the chosen charity as named above. A certificate and tiara will be given to each category highest fundraiser from Belle pageants and each fundraiser will receive a certificate from the on behalf of their chosen charity . All under 18 year old contestants must have have a completed parental / guardianship consent form completed before any fundraising takes place on their behalf. And we ask that all fundraising is supervised and the monies raised are supervised at all times. Luxury sash, crown, certificate,photo shoot together, certificate, and hold the UK title for 12 months and will be invited to compete in Spain April 2020 . Runner ups in each category will also receive sash , crown, certificate, and will be invited to compete in Spain 2020 with your team with a Half Price Voucher to compete for the UK and International Titles as Regional Ambassadors for your Category . Boys categories are subject to change as we gain entries . There will be a maximum limit of 7 entries per category and there will be on a first come first served basis.